Yeah, yeah, yeah… Palm Beach may have blown up in the food and bevvie scene but, guess what? The rest of the Coast is catching up too! 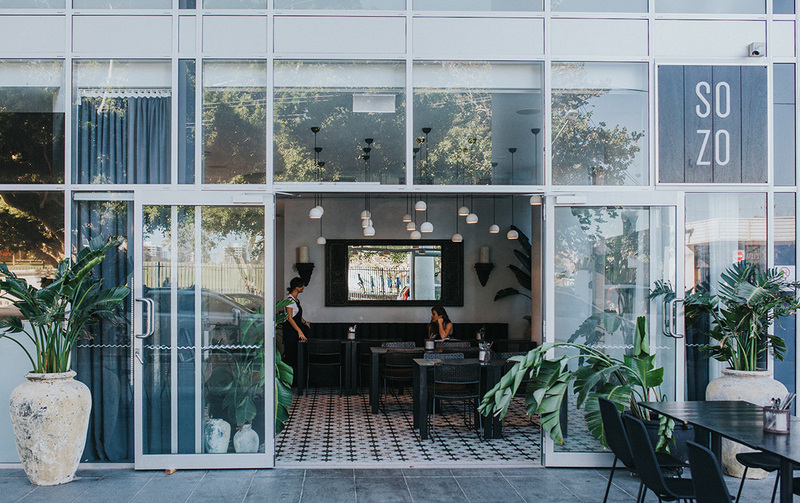 There’s no denying our Gold Coast cafes are up there with some of the best and basically everywhere you look, there’s another one popping up. From northern newbies to southern soul food, we’ll do the honours of introducing you to five cool new cafes that you might not know about (yet). Okay, so MRKT StrEAT Cafe is about as new as they come on the Gold Coast cafe scene having opened just last week. Trading Monday to Friday (7am to 3pm), you’ve now discovered your new favourite mid-week hangout for tasty raw desserts, nourishing bowls, and homemade juices. Having filled the raw treat cabinets of various Gold Coast cafes for the past three or so years, power couple Tomas and Hana Frana have been hot stuff on the wholesale scene for ages. Already adding new elements to their elaborate desserts menu, Tomas’ pastry chef background has been proven to bring perfectly assembled raw creations to fruition. In addition to their famous raw goodies, MRKT has broadened their horizons to hearty salads and wraps topped with salmon and chicken, cold-pressed juices, acai smoothies, kombucha, as well as vegan chia puddings and baked delights. Speciality coffee with organic and free trade blends is what Joy Beans in Burleigh Heads is all about. Venturing away from their wholesale bean background, owners Patty and Ben Glennon have turned their focus to the world of cafe ownership and are absolutely killing it. Their refined and minimalistic décor adds a classic appeal to the duos’ creation and little treats like blooms on sale add a homely ambience. If you love your toast, scour the gourmet toast menu for brekkie delights including toppings like smashed avo, mushrooms and hummus. Come lunchtime, explore the joyous selection of raw deserts and vegan ice cream treats to feel like a kid again—a very spoilt, kid. This southern belle has been operating for a few months already, though its off-the-beaten-path location means there’s a good chance you’ve not visited—yet. While the menu is 100 per cent vego, the food at SOZO Square is so damn tasty that omnivores are raving about this place, too. Early crowd favourites include indulgent macadamia pancakes, moreish pesto burgers stacked with haloumi and roasted veggies, as well as freshly fluffed banoffee pie and key lime cheesecakes. This Romanian family-owned business is well acquainted with one of the largest health food brands in Romania. Meaning? Authentic, wholesome cooking is in their blood. Each dish doesn’t play hard to get, with SOZO’s authentic vegetarian recipes you won’t find any Facon here—ringing true to a meat-free mantra. And while the menu doesn’t stop at satay stir-fries, lentil shaksukas, and berry bircher, there’s a little something extra on the drinks list too. Holding strong beliefs that the stimulant and addictive component of coffee is not good for the body, hot turmeric, beetroot, and chai lattes are featured beverages instead; adding an interesting element to your cafe experience. Upstairs, you’ll find a holistic community heath hub with cooking workshops, seminars, and exercise classes, allowing the SOZO crew to incorporate a well-rounded approach to healthy living within their space. Southport’s Brickworks is home to a brand spanking new addition; Salt Cafe Bar is a wee one month old and with an open-plan outdoor dining area and draped greenery, this newbie holds a certain charm about it. Hungry for decadent morning waffles topped with raspberry gel, almonds, seasonal fruit, and dolloped with ice cream, or enjoy boozy long lunches and tuck into crispy skinned salmon as part of this European dining experience. Check out Salt’s new beer garden, extensive wine list and daily selections of sweets, quiches, and frittatas. Having owned and operated Brisbane’s popular Salt Restaurant for close to a decade, duo Mario Perna and Carlos Marin know the way around a kitchen like the back of their hand, so pop by and try for yourself.